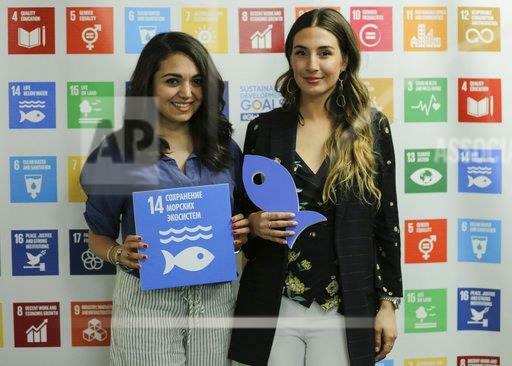 Sir Richard presented a petition with over ONE MILLION signatures to Peter Thomson, President of the U.N. General Assembly, that urges governments to protect our oceans. So we all know that the Ocean is 2/3 of the planet, but did you know only 3% (THREE PER CENT!!!) is protected??? What the what y’all?! That’s really depressing. 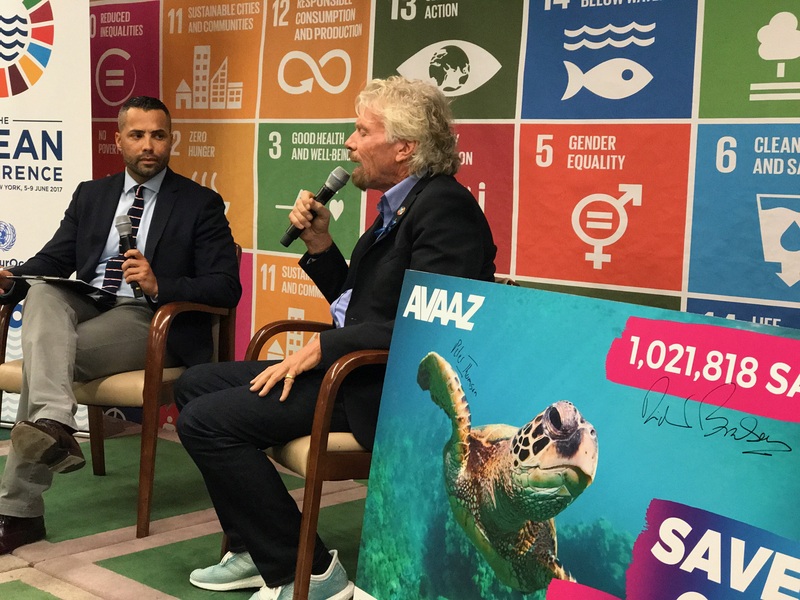 Sir Richard spoke about his life on Branson Island in the Caribbean (casual) and what a blessing it is for him to see nature in its rawest form there. He also mentioned the flamingos, lemurs, and swimming excursions with nurse sharks (bucket list!). Sir Richard is really funny and at one point said, “I believe in thousands of mermaids down there, but nobody believes me!” LOL! Plus, let’s not forget how COST EFFECTIVE clean energy is! My favorite fact I learned was that the oceans can supply THREE TIMES the amount of people on this earth if we fish sustainably. We’re what, near 8 billion people on the planet? Multiply that by 3! Sir Richard gave an excellent example talking about how farmers will farm a specific field then leave it to replenish while they farm another piece of land. They don’t keep using ONE piece of land. They manage in a sensible way. If we manage our potted fishing reserves the same way, using clean energy and safe practices, the ocean supplies would triple the amount of people on earth. WHO WOULDN’T WANT THIS?! In addition to Sir Richard, I also had the opportunity to hear Alexandra Richards (Rolling Stones guitarist Keith Richards badass daughter) speak about Project 0, a movement to empower change in the oceans. (I need to take a moment to pause and say how happy I get knowing these wonderful organizations exist!) Alexandra is a spokeswoman for Project 0 (along with other badass ambassadors likes Lauren Santo Domingo and Georgia May Jagger) and talked a little about the #LaMerWaveWalk. There are currently 50 waves set up around New York, each one designed by a different celebrity, influencer, designer, artist, or public figure. The walk is raising awareness through art and the waves are up for auction with ALL proceeds going to save the ocean. I love when art and charity collide to raise awareness! Since my visit to the Oceans Conference I’ve been more aware than ever about ways I can help our oceans. I am a beach girl through and through, and the dream is to live and retire on a beach, haha! So why wouldn’t I want to help and preserve our beautiful natural resource, the oceans? I hope you’ve learned something here that inspires you to want and make a difference too!